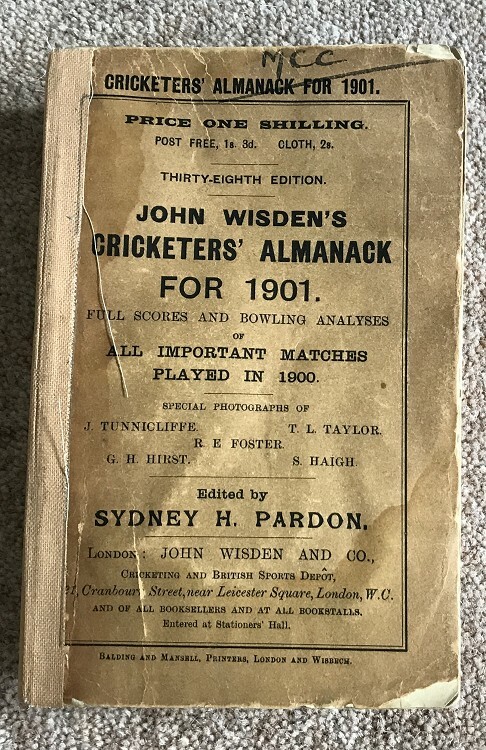 This lot is an Original 1914 Wisden Paperback with facsimile spine. This is in Good to Very Good condition, the covers are in good order but have some marks, wear and small losses and MCC to the top of the front cover. The book is quite crinkly , it may have been in a room with a lot of water in the air. Old newspeper clipping inside. Feels read but a nice enough Wisden and not the easiest paperback year to find.